I always like to help out small presses when possible, and so far the folks at Raw Dog Screaming Press haven’t let me down with material I thought I’d enjoy, so this is a book I’ve been eager to preorder. 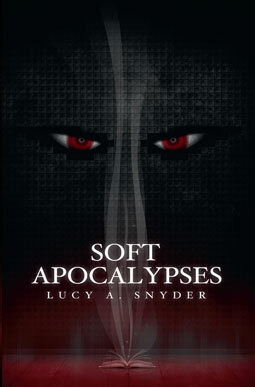 Soft Apocalypses is a new short story collection by Lucy A. Snyder, including her Stoker-award-winning “Magdala Amygdala”, which was also featured as a reprint in April’s issue of Nightmare Magazine (put out by John Joseph Adams). You can find that story here to see whether this is something that might interest you, and you can preorder a copy of Soft Apocalypses and enter for a chance to win a pre-release copy on Goodreads too.